If you are on the hunt for a new toilet, you know just how hard it is to find one that is right for you. Of course, you want one that is durable and that looks aesthetically pleasing. So much is a given. Ease of installation is another big issue that many look out for. However, the biggest issue when it comes to purchasing a toilet is finding one that is water efficient. For most people, this is the most important consideration to keep in mind. The reality is that there are so many options out there, that it can really make your head spin. However, here we have a durable, easy to install, and water efficient toilet. It’s the Niagara 22001WHCO1 toilet, so let’s take a closer look at it right now. One thing that we want to note right off the bat here is that the seat for this toilet is not included with the original purchase. You will have to buy the seat and lid separately. It is not a huge deal, but a bit of a pain in the neck none the less. Other than that, when it comes to the materials used here, the Niagara 22001WHCO1 toilet is pretty standard. It is made of high-quality porcelain, otherwise known as china. It’s easy to clean, it’s durable, and it looks nice too. What more could you want? What is nice here is that the toilet tank doesn’t have flappers or chains. This means that there are fewer moving parts, and therefore there are less things that can break, thus greatly cutting down on maintenance requirements. The bowl here is your standard elongated bowl, which many people like. The flushing system for the Niagara 22001WHCO1 toilet is quite simple, yet also very effective. 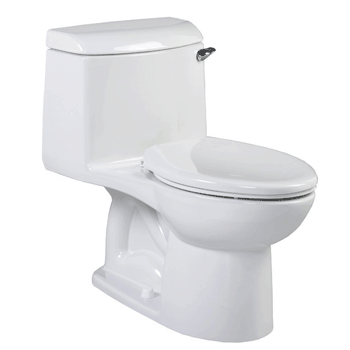 The Niagara 22001WHCO1 toilet uses a good gravity flush system that helps save a whole lot of water. it uses a simple seal which holds the water in the top of the tank. When you press the flush valve, the seal opens up and uses gravity to send the water shooting into the bowl. The water then ejects through the trap and into the sewer system. It is very simple, but highly effective, not to mention that it is also highly water efficient. The Niagara 22001WHCO1 toilet is indeed very easy to clean and maintain. That is one of the good parts about it. Simply put, you just have to use some wipes and a brush to scrub it down every now and again, in combination with some standard toilet cleaning liquids. In other words, it’s a toilet and yes, they do need to be cleaned, but at least it is not difficult or time consuming. 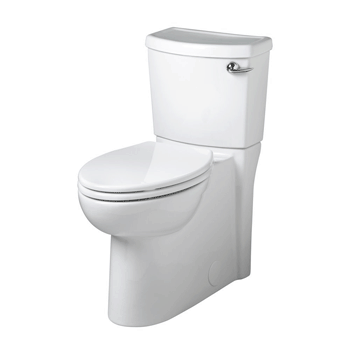 In terms of water consumption, the Niagara 22001WHCO1 toilet is absolutely a great option to go with. Water is a precious resource, and we as humans seem to be great at wasting it. 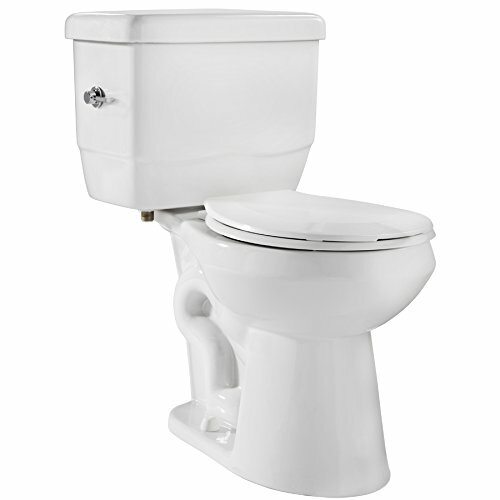 Did you know that your standard toilet uses up to 5 gallons of water per flush? That is over 20 liters of water to flush some waste down a pipe. However, the Niagara 22001WHCO1 toilet is very efficient when it comes to water consumption. It only uses 1.28 gallons of water for every flush. That is around 5 liters of water, or in other words, much less than any other toilet uses. When it comes to the environment and your water bill, the Niagara 22001WHCO1 toilet will do you some big favors no doubt. When it comes to installation, the Niagara 22001WHCO1 toilet is about as simple as can possible be. It is installed just like any other standard toilet. First, you have to attach the water pipe to the intake tubing of the toilet. Then, you have to place the trap of the toilet over the sewer connection in your home. To finish it all off, use the included bolts and bolt caps to bolt the toilet to the floor of the bathroom. It really could not be any easier. With that being said, you can always get a plumber to do it for you, which is obviously even easier, although a little costly. All in all, we think that the Niagara 22001WHCO1 toilet is a great model to go with. Based on how it uses very little water, that it is durable, looks nice, and works efficiently, we give the Niagara 22001WHCO1 toilet 4.5 out of a total of 5 stars. Besides the fact that some models seem to be missing the flush handle, it is a perfectly fine choice to go with.